Being able to adapt to unusual conditions is a vital asset in the global mobility industry. AGS French Guiana has again proven their ability to do so by moving the Gendarmerie Nationale (National Police) using the police’s own pirogues. Being able to adapt to unusual conditions is a vital asset in the global mobility industry. 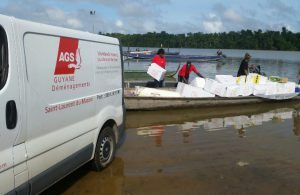 AGS Movers French Guiana has again proven their ability to do so by moving the Gendarmerie Nationale (National Police) using the police’s own pirogues. AGS’s last operation of this kind was brilliantly executed. 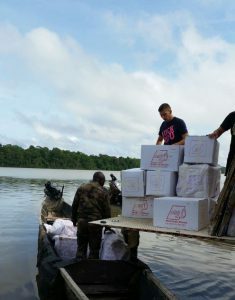 Our branch in Guiana recently assisted a gendarme (police officer) moving from Grand Santi – where he had terminated his stay – to Saint Laurent du Maroni, on the opposite river bank. This move required a crossing of the Maroni River, with the only options being a helicopter, a small plane or a pirogue. Fortunately the Gendarmerie has its own pirogues, and these were utilised by AGS French Guiana. explains AGS French Guiana’s Branch Manager, Jean-Pierre Delalande. AGS was also responsible for providing our trademark white packing material, receiving the pirogues at arrival and transporting the goods safely to their final destination. 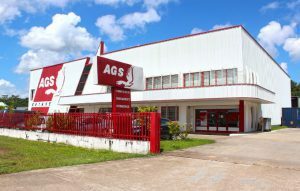 This type of operation demonstrates AGS’ open-minded approach and capacity to adapt to clients’ needs. 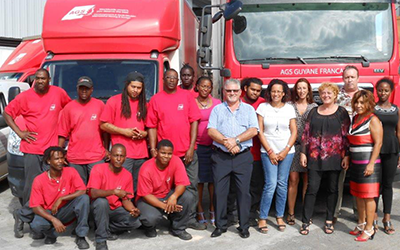 Our skilled AGS French Guiana team also proved to be entirely dedicated to the brand’s core philosophy: providing only the highest-quality removals, regardless of the situation.